James just sounded out “girls twerking booty” as he typed it into YouTube. YouTube auto-corrected it to “girls talking booty.” This required Tom to explain to James that he had spelled everything correctly, but since the computer was misinterpreting what he entered, he should try something else. We are now all sitting around the living room thinking of alternative search terms for “Girls twerking booty.” This is not what I pictured literacy would be like. James’ mother sent the email to me and James’ teacher. His teacher’s response? Initial blend! r-controlled vowel! -ing ending! Yay! Two years ago, Penelope came to our first assessment clinic for a Pre-K literacy screening. Here she is today, enjoying that popular activity: Reading Yourself to Sleep. One of the many little joys in a reader’s life. This week, we will be sending out more than 75 donated books to families all over the world as part of Gabriella’s Birthday Book Giveaway! Thank you to all the people who donated books and a big thank you to R. J. Julia Booksellers for all your help (and the discount!). Most of all, thank you Gabriella for choosing to celebrate your birthday by sharing your love of reading with so many children and families. 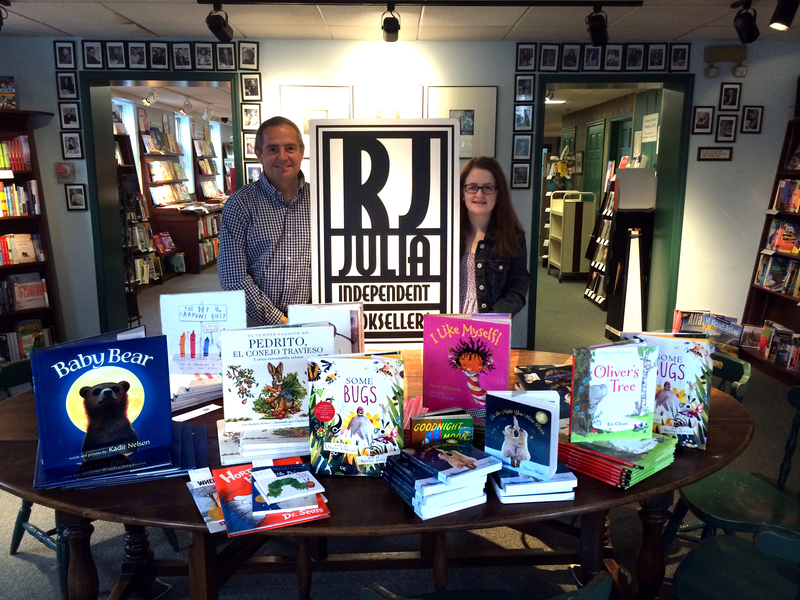 Gabriella and her father, Mark, at R.J. Julia’s with our big batch of beautiful books! I will be posting additional results as they are analyzed so stay tuned! Thanks again to all of you who so generously shared your experiences! Celebrate World Down Syndrome Day! In celebration of World Down Syndrome Day, I’d like to share a link to the National Down Syndrome Society “My Great Story” campaign. While you’re there, check out Elmo Care! and even MORE free literacy stuff! A reader just wrote in to remind me of the extensive selection of high quality FREE resources for teachers, parents and administrators available from the Florida Center for Reading Research. Teachers can check out the Student Center Activities for children in kindergarten through fifth grade. In addition to free, printable materials there is also a search tool that allows you to match instructional routines to activities by grade level. For parents, there is a grade-by-grade guide for supporting your child’s literacy development at home. The section for administrators includes an excellent Principal Walkthrough Checklist to make the most of classroom visits to evaluate reading practices from kindergarten through high school. Thank you, Marie, for reminding me about this wonderful resource! The Get Ready to Read! website is a treasure trove of free literacy resources. Designed to support both educators and parents, the site provides online games, activities, webinars, tool-kits, checklists, and more to support literacy development for preschool and kindergarten children. I especially love the Activity Cards , which are divided into levels so you can match activities to the needs of individual children. There are also Group Activity Cards for educators to use in the classroom. A drop down menu on the side of each page provides access to information in Spanish, Chinese, Korean and Arabic. The easy-to-navigate, well-designed site is updated on a regular basis. And did I mention that everything’s FREE? Have a look! This past Saturday, I attended my first B’nai Mitzvah ceremony. I was not very knowledgeable about this Jewish tradition, so I checked with a friend beforehand for advice to be sure I wouldn’t commit a terrible faux pas at this important event. She kindly sent me a task analysis on How to Behave at a Bar/Bat Mitzvah Ceremony, and I was very grateful for that because there was a lot to know. I learned that when a boy reaches the age of thirteen, he becomes a Bar Mitzvah—and accepts responsibility for himself, before friends, family and his congregation, as a member of the Jewish community. For girls, the term for this transition to adulthood is Bat Mitzvah. The ceremony I attended on Saturday posed a unique challenge as far as terminology goes because it was for triplets—two boys and a girl. Apparently, there is no term to describe that. The service itself was beautiful—rich with tradition, serious but celebratory, shared with friends, family and community. It takes months—even years—for a child to prepare for this day. In order to become Bar or Bat Mitzvah, a child must demonstrate sufficient competency to participate in the ceremony. This means that, among other things, the child must learn to read Hebrew. Since this blog is about reading, I must point out several things about Hebrew. First, the Hebrew alphabet (called Aleph-bet) looks nothing like the English alphabet. Second, the text reads from right to left. Third, the books open from the “bottom” or right-most page, and flip to the “top” or left-most page, bringing “Concepts of Print” to a new level for those of us who only read English. During the ceremony, each child was called upon, one by one, to read from the Torah. From my second row seat (with my reading teacher hat on) I watched in awe as each child scanned from right to left (not left to right!) and carefully pronounced the Hebrew words. I saw, from the corner of my eye, the children’s grandparents leaning slightly forward, flush with pride. Each child gave a short speech—called D’var Torah—about the personal meaning of the occasion and the parents, too, spoke to each child about the individual gifts he or she brings to their family and congregation. I was glad I followed my friend’s advice to “bring tissues, in case you cry at this very happy occasion” because I did, in fact, cry. It was joyful and moving and—I hesitate to use this word, but it fits—it was special. Because one of the triplets—Louisa—has Down syndrome. Her preparation, as you might imagine, was more complex than her brothers’. For her passage, the Hebrew characters were enlarged. The passage was not as long as her brothers’ passages. A few times in the ceremony, when the Cantor sang (and I am pretty sure that the Cantor was intended to sing alone) Louisa burst into song, notably accurate in her pronunciation. When, toward the end of the ceremony, the children were to stand to the far left and Louisa stayed firmly planted to the far right, the Rabbi and Cantor and her brothers gracefully sidestepped to the right and the ceremony continued. It was not what was planned but it was perfect. It was beautiful. I have known Louisa since she was in kindergarten. She is a proficient reader, thanks to her parents’ unrelenting advocacy. I can only imagine the effort and persistence it took for Louisa to learn to read that Hebrew passage. But she did learn it, as well as the words to all the songs and prayers in the ceremony. There, among her family and her community, she participated fully in what I now know is one of the most important moments in a Jewish child’s life. She participated because her parents never considered that she would not become a Bat Mitzvah. She participated because the Rabbi and the Cantor and her tutor and the entire congregation provided her with the support she needed to be successful. That, to me, is the definition of community. Mazel tov, Louisa, on this important milestone in your life. And thank you for inviting me to share in your journey. Guest post: Back to school tips from Sheryl Knapp! 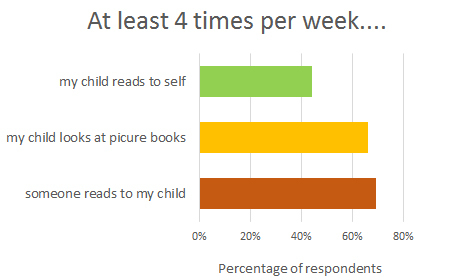 Many parents have written in to ask how they can support their child’s literacy development at home, particularly in the area of reading comprehension and vocabulary development. 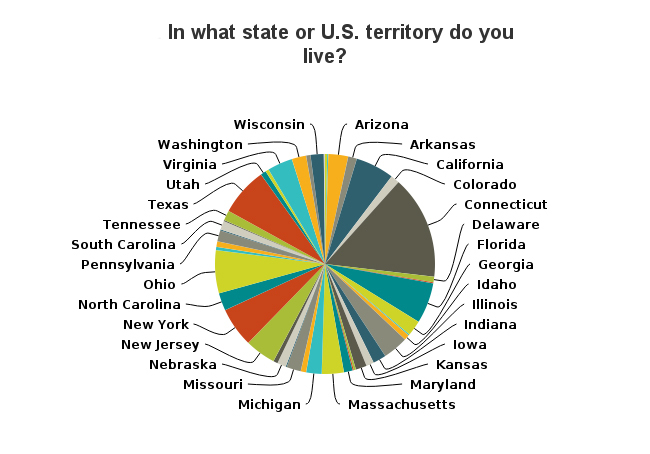 I turned to Connecticut reading expert, Sheryl Knapp, who graciously agreed to write a guest post on this topic. To read more about Sheryl’s work, check out her website at Literacy Best Practices. 1. Shake it up! When reading with your child, utilize a variety of text. Nonfiction can be an excellent vehicle for teaching content area vocabulary. Since nonfiction tends to be more content-dense, you will need to approach it more slowly and deliberately; teach your child to re-read confusing or complex sections to facilitate understanding. “Authentic” text—such as magazines, guidebooks, newspapers, journals and websites—can be particularly motivating for children, and exposes them to a variety of writing styles and formats. Read a reference guide on a topic of interest to your child – for instance, a guide to dog breeds – and practice using section headings and/or indexes to locate specific topics. Discuss the use of various fonts (e.g., italics), callout boxes, and other print tools that highlight and/or summarize critical text. 2. Maximize engagement. Reading comprehension is an active process, requiring constant interaction with the text. 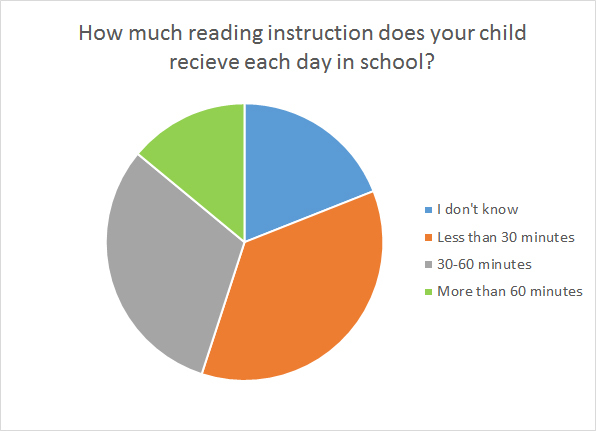 Proficient readers maintain an ongoing internal dialogue as they read, continually checking that text makes sense and thinking about questions that arise as they read. For some children, this process must be taught directly and explicitly. While reading, model self-questioning strategies, posing appropriate questions (“Why did he…. ?”) and statements (“I am surprised that he ….”), and making predictions (“I think he is going to…”). Encourage your child to “make a movie in your head” while reading by helping him form visual images and referencing these images wherever possible. Always watch for overt signs that your child has “tuned out” – in particular, if she looks away from the text – and immediately work to re-engage her. A scaffolding approach is often helpful in shifting focus to more central ideas and themes within text. Help your child to organize and categorize ideas presented in the text through ongoing discussion. Use targeted follow-up questions to encourage your child to delve more deeply into the main ideas within the text. If your child supplies a single-word answer to a question, try to get her to provide more details or otherwise elaborate on her response. Help her to draw conclusions or establish a broader understanding of the text based on these details. 4. Model appropriate uses of prior knowledge. 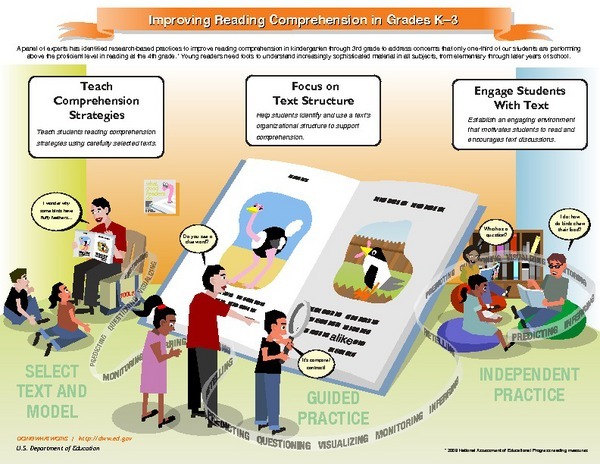 Proficient readers make personal connections with text, drawing on prior knowledge and experiences while reading to make sense of text and to determine if this knowledge can help them better understand the content. For many students with Down syndrome, this prior knowledge at times impedes (or overwhelms) the content contained within the text rather than enhancing it. Balance prior knowledge with text content. Help your child to use his prior knowledge or experiences to enhance his understanding of text – without overwhelming it. For instance, if reading a book about sharks, make references to observations from a previous trip to the aquarium while also emphasizing elements of the text that differ from what was observed. 5. Don’t forget prosody and phrasing! Proficient readers “group words in ways that help them gain meaning from what they read… read[ing] effortlessly and with expression. Their reading sounds natural, as if they are speaking” (Put Reading First, 2006). Proper phrasing and inflection are critical to maximizing text comprehension, yet struggling readers frequently sound laborious or “flat” when reading. Choose text that your child can read comfortably. Otherwise, so much of her attention will be required for the word identification process that little or no capacity will be available to devote to determining the meaning of the text she is reading – which is critical to applying appropriate inflection. Model appropriate intonation, inflection and pacing, as demonstrated by the teacher in this video. Employ both choral (simultaneous) and echo (alternating) reading, enabling your child to practice the inflection and pacing modeled. Try a theatrical approach to the dialogue within text, perhaps serving as the “narrator” and having your child read each character’s dialogue – with varying (and exaggerated) inflection employed, based on the character type (e.g., a gruff voice for an annoyed neighbor). Text dialogue often provides an ideal vehicle for teaching and practicing natural inflection. Last weekend, I was tutoring a 21-year-old young woman with Down syndrome (I’ll call her Hannah) who had gone through her entire public school career without learning to read. Hannah is an engaging, bright and social person who is living a full life. She likes to dance (Hip Hop), she’s active in sports, and she definitely knows how to rock a party dress. How, I wondered, is it possible that this capable young woman received 18 years of “special education and related services” and never learned to read? When I met Hannah about a month ago, she did not know a single letter name or sound. 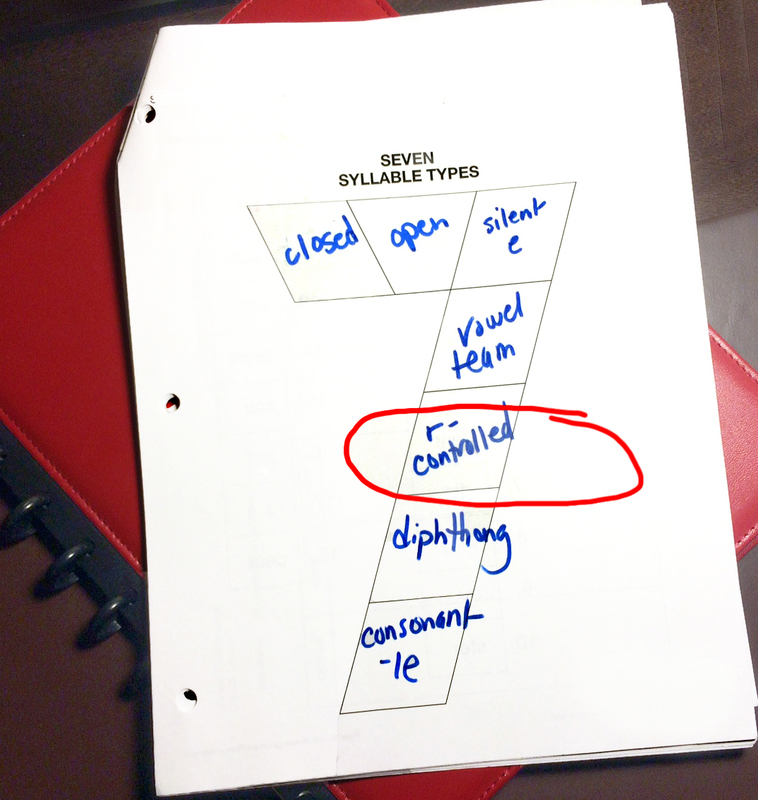 She knew a few sight words, but because of lack of use, even that was not consistent. In just three weeks of tutoring, Hannah has started to blend sounds to read short CVC words (cat, hat, etc.). It’s always exciting to see this—when reading “clicks” for someone. I have no doubt that Hannah will, in fact, learn to read and that this skill will greatly enhance her life and for that, I am happy. But I couldn’t help but feel a momentary sadness when her mother wondered aloud what life would have been like for Hannah if she had acquired this skill when she was younger. Ira Glass: Remember last year’s Kentucky Derby? The horse that won was such a long shot that the Sports Illustrated writer assigned to the race never even bothered to find out about him before the race. He’d lost 31 of his previous 32 races. At 50 to 1 odds, he was the longest long shot ever to win the Derby in over a century. Newsday published a preview of the race where it told this horse to just stay in the barn. Announcer: Mine That Bird now comes out to take the lead as they come down to the finish. And it’s spectacular! Spectacular upset! MineThat Bird has won the Kentucky Derby, that impossible result here! Here we are again, I thought—back at expectations. That jockey believed in Mine That Bird, and Mine That Bird knew it. Hannah’ mother knew her daughter could read, and she refused to give up on that dream. Now, at 21 years old, Hannah is picking up speed and I can just see her crossing that finish line. Nine years after her granddaughter Lucy was born, Globe columnist Beverly Beckham reflects on what was the best of times and the worst of times. One of my favorite sites for free literacy resources is Ed Pubs, the U.S. Department of Education online catalog of FREE publications. They have everything from research briefs to toolkits to DVDs–even bookmarks! Topics include literacy, technology, academic achievement, assessment and behavior, to name just a few. The searchable database is easy to navigate. And, did I say everything is free? Delivered right to your door. Check out their postcards–colorful, durable cards with synopses of research on reading comprehension, response to intervention and preventing problem behavior. PBS Kids–Free activities, coloring sheets, advice for building literacy skills. Helping your Child Become a Reader–literacy activities from birth to age 6. Reading Planet–animated stories read aloud. Includes an annotated list of 1,000 children’s books that can be browsed by age group, author or category. Reading Rockets–parent tip sheets in 11 languages, hands-on activities, a library of web widgets and other resources for parents and teachers. Starfall–downloadable “make and take” books, puzzle activities and materials for teaching phonics skills. Intervention Central –chock full of resources to help struggling learners.Teaching strategies, downloadable resource manuals and online assessment tools, including a Maze reading passage generator, reading fluency chart makers and a behavior tracker and graph maker. Do you have a favorite source for free materials? Send it in and I’ll add it to the list! Would you mind going over that phonemic awareness thing again? For the past few days, I have been trying to write a short, simple post on phonemic awareness. I start out fine, but by the third paragraph I am mired in the tongue-twisting vocabulary needed to describe this important area of literacy development, and I give up. Today, I had the great idea to find someone else’s blog explaining phonemic awareness so I could finally take ad vantage of that nifty “Press This” button on my blog (probably created for just this sort of situation). But that didn’t work out, so here is my not-quite-short-nor-simple explanation of phonemic awareness. Phonemic awareness is one of the five “building blocks” of early literacy instruction cited by the National Reading Panel. In fact, it is building block #1 because it is a skill that develops before all the other skills needed to learn to read. It is also an area where many children with Down syndrome struggle tremendously. The good news is, phonemic awareness skills can be taught and mastering these skills can pave the way for children to become successful readers. the ability to isolate the middle sound in a word; for example, /a/ is the middle sound in the word sack. the ability to blend separate phonemes (or sounds) together to make a word. For example, if I say the following individual sounds very slowly /t/………/a/………../p/, the child can hear that this makes the word tap. the ability to break up, or segment, spoken words into their individual phonemes; i.e. the word shop has 3 phonemes: /sh/, /o/ and /p/. Notice that the first phoneme has two letters? That is because /sh/ makes only one sound and phonemic awareness is about sound, not letters. A common misunderstanding about phonemic awareness is that it means the same as phonological awareness and some people mistakenly use the terms interchangeably. Phonological awareness is a broader term that refers to a continuum of skills on the road to developing phonemic awareness. A beginning phonological awareness skill is the ability to hear and produce rhyme. Next, children may learn that sentences are made up of separate units (words) and that those units have meaning when they are put together. Then, the child moves to blending and segmenting syllables, then on to blending and segmenting parts of syllables (/b/ and /at/), and finally, to blending and segmenting individual phonemes (phonemic awareness). Here is a concise explanation of the difference between phonological awareness and phonemic awareness. Here is a great article on the importance of phonological awareness, which highlights a critical point: phonological and phonemic awareness are not related to intelligence. One final note about phonological awareness and children with Down syndrome. For some reason, many children with Down syndrome never learn to rhyme. Because rhyming is a beginning step on the ladder of phonological awareness skills, a child may be stalled in his reading instruction because of the belief that you can’t move on until the child masters rhyming. Not true. Just move on. It is possible to learn to read without mastering rhyming. I am often asked about sight word instruction for children with Down syndrome. 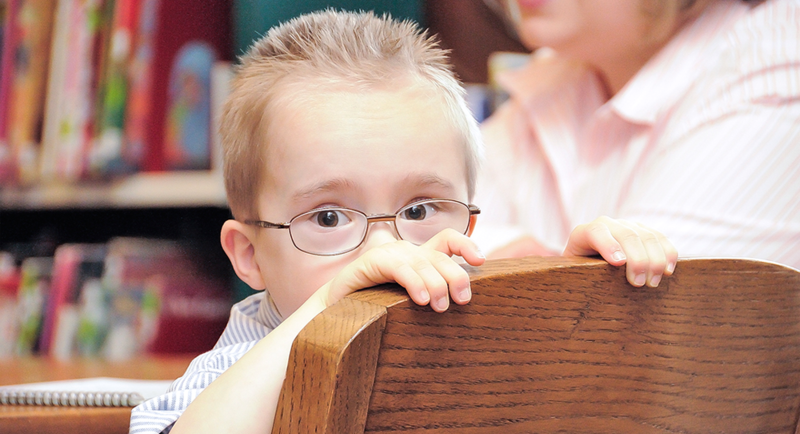 This can be a touchy topic in the field because, years ago, most children with Down syndrome who were taught to read at all were taught using functional sight word programs. The thinking was that children with Down syndrome were not intellectually capable of learning the rules of the English language necessary to decode unknown words. “Besides,” people would often say, “kids with Down syndrome are whole-word readers.” I used to bristle at this comment; first, because I hate when people make sweeping generalizations about children (“kids with Down syndrome are happy,” “kids with Down syndrome are affectionate,” etc.) but also because I suspected that it was just another way of saying, “kids with Down syndrome can’t decode.” I spent a lot of time discouraging people from sight word instruction because I was so busy trying to spread the word that children with Down syndrome can learn the rules of language and decode unknown words. As with many things in life, I have learned that there is a middle ground. Research has shown that beginning readers need to learn sight words and phonics skills. And as it turns out, children with Down syndrome are often more skilled at learning sight words than typically developing children are. 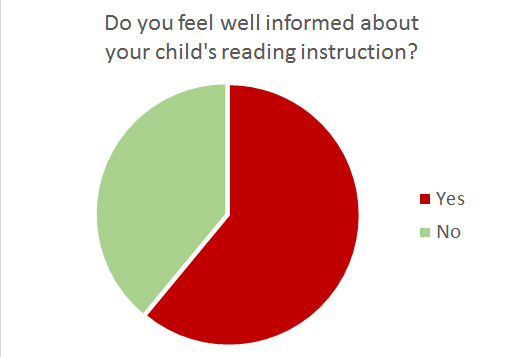 Many appear to have an affinity for sight word reading–even a love of it–from a very early age. This is a good thing, since approximately 50 percent of the text used in schools is made up of only 100 “high frequency” words. Some of these are words that cannot be sounded out–often called “permanently irregular” words, such as the, would, said, and of. The rest are words that can be decoded, but may contain rules that a young child has not yet learned, so they are “temporarily irregular” (such as eat, you, good and saw). There is no universal sight word list (although Dolch and Fry are common) so parents may want to check with their district to find out what list they use and/or what reading program they implement. Many commercial early reading programs introduce sight words systematically as part of the scope and sequence of the program. Knowing this information can help parents work together with their child’s teacher to avoid confusion. 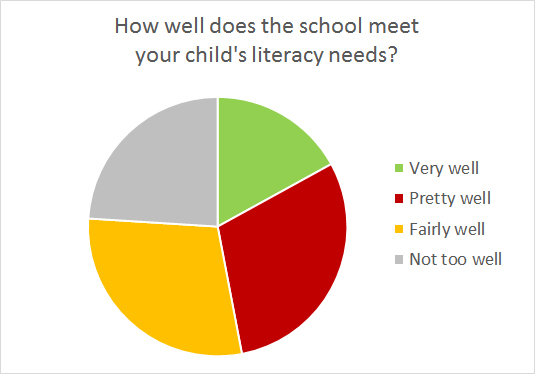 And if you are wondering how many sight words a kindergartener needs to know, Dr. Timothy Shanahan recently addressed that frequently asked question on his blog, Shanahan on Literacy (which is packed with information on every aspect of literacy and well worth a visit). Today I was researching iPad apps when I came across an article entitled Confession App ‘No Substitute for the Sacrament.’ Apparently, there is an app for everything (in this case, Confession: A Roman Catholic App). In the article, a church official stresses that the app cannot substitute for a personal encounter, although it may be useful for people who wish to practice or prepare for confession. This pretty much sums up my feeling about apps for literacy. There are some wonderful apps out there for everything from phonics to comprehension and they can be useful for reinforcing and practicing essential literacy skills, but they are not a substitute for direct instruction by a trained teacher. Used correctly, iPad apps can be motivating and reinforcing. One cautionary note in choosing apps is to be sure that the app you select will reinforce the skill you want to reinforce. In one phonics app I reviewed, “giraffe” and “gem” were given as examples of words that start with “g.” This is problematic if a child has not yet learned that the letter “g” has two sounds. Typically, the hard sound for “g” (as in ‘goat’ or ‘gum’) is taught first and mixing hard and soft sounds early on may hinder a child’s learning. When evaluating apps for children, you also want to consider ease of use. Here is a great blog post on this topic: A Dad’s Plea To Developers Of iPad Apps For Children. Having said all that, I did find many wonderful early literacy apps. The sheer number of available apps is dizzying, which is why I appreciate when other people thoughtfully research and test them and then share what they’ve found. Reading Rockets has published a great list , which they have separated according to area of literacy: Top 13 Best Vocabulary Apps, Top 12 Comprehension Apps, Top 10 Spelling Apps and Top 9 Writing Apps. This list from the University of Michigan Center for Development of Language and Literacy includes apps for children of all ages. Electric Company Wordball. This phonics app reinforces reading and spelling. The child chooses from a series of videos focusing on a letter sound or letter combinations. Videos feature characters from PBS KIDS GO! Children explore “magic e,” hard and soft “c” (as in cat and city) and digraphs (/sh/, /th/, /ch/). Designed for K-4, this app requires a level of fine motor dexterity that may be difficult for younger children. Free. Montessori Crossroads. Sound/symbol association and word building. A grid appears on the screen with a picture and empty boxes for letters. The word is read aloud (by a human voice that forms phonemes correctly). The child drags the letters into the boxes as each letter sound is made aloud. If you tap the finished word, the definition appears, making this a good app for building vocabulary at the higher levels. Pre-K through Grade 5. $2.99. Aesop’s Quest. I love this app, which builds listening comprehension. While a pleasant human voice reads story segments based on Aesop’s Fables, the child listens closely for clues in order to answer questions at the end of each segment. Each correct answer earns a puzzle piece and when the puzzle is complete, so is the story. Five levels for grades 2-6. Free. Opposite Ocean. This comprehension app was developed in partnership with the Virginia Dept. of Education. Each sentence, displayed on a whale, contains a keyword.The child chooses the opposite of the keyword from a list. The word is dragged into the magic clamshell. A correct answer earns a pearl in the treasure chest. Levels range from “easy” (grade 2) to “hard” (grade 6). Free. Chicktionary. I almost didn’t include this app because the loud squawking sound effects and busy screen set my teeth on edge. But my 9-year-old “co-reviewer” thought it was a blast so it made the cut. Seven letters appear on bobbing chickens and you unscramble the letters to form as many words as you can. You can tap completed words to view their definition. Grades 2-4. $1.99. Educreations. Although this app was designed for teachers, I include it here because it is a versatile, creative tool for creating interactive lessons with students. It includes the ability to upload images, draw (with your finger on the screen), narrate, save and share your creations. Great for creating short, personalized stories with children and can also be used for drawing graphemes and words during phonics lessons. Free! There has been a long-standing and often contentious debate in education about the “best” way to teach reading: phonics or Whole Language. Simply put, phonics instruction emphasizes the relationship between speech sounds and letters, letter groups, and syllables. Whole language emphasizes the meaning of text and strategies for understanding language as a system of parts that work together to create meaning. 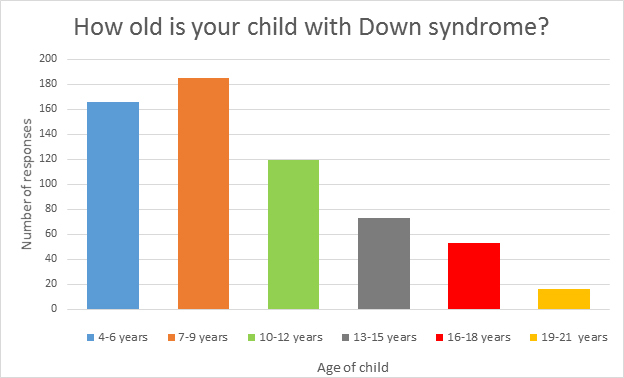 For children with Down syndrome, there has been a similar debate, but the reasons have nothing to do with philosophy and everything to do with expectations. For decades, if children with Down syndrome were taught to read at all, it was with a “whole word” approach. This was because most people believed that children with Down syndrome weren’t capable of learning to sound out words. Unfortunately, if we only teach children with Down syndrome to read whole words, they are limited to the words we teach them. The consequences of this are far-reaching.